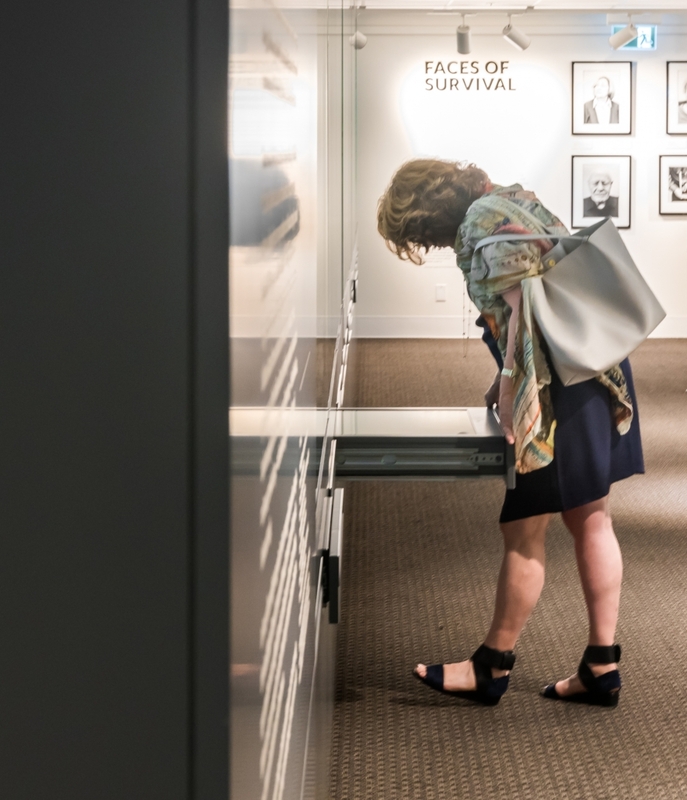 This two-hour long school program is based on the current exhibitions In Focus: The Holocaust Through the VHEC Collection and Faces of Survival – Photographs by Marissa Roth. 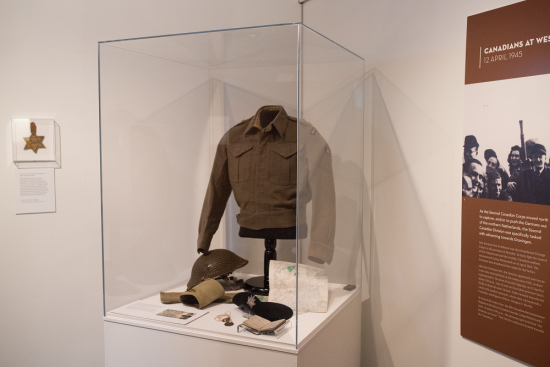 In an interactive guided tour by a VHEC volunteer docent, students gain insight into the highlights of the VHEC collection that is comprised of rare artefacts, photographs, identification documents, letters and postcards. 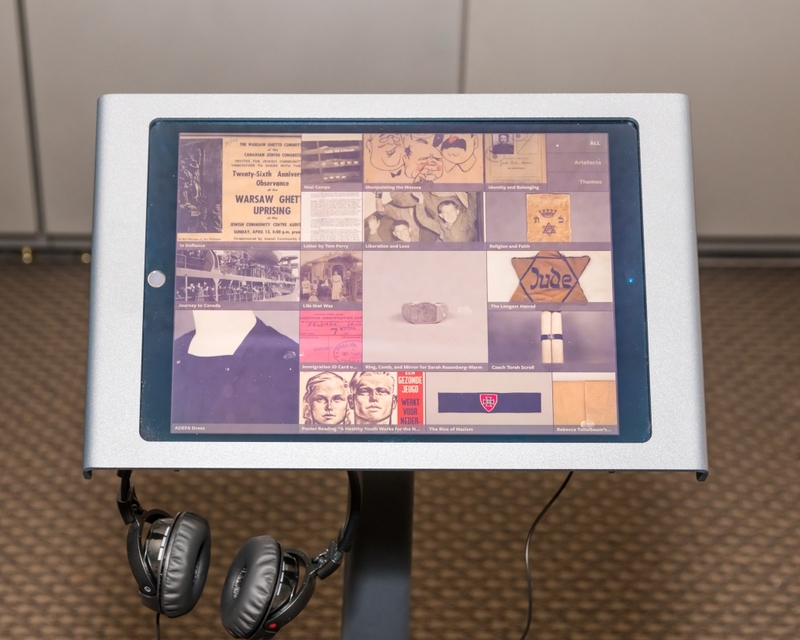 Students learn about local survivors of the Shoah through a portrait series and engage with the survivors’ powerful messages to students. 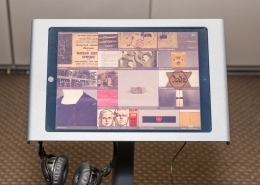 The interactive workshop following the tour offers engagement with primary sources including eyewitness testimonies, discussion prompts promoting dialogue and critical thinking, and the crafting of a document based on an original VHEC artefact representing cultural resistance during the Holocaust. There is a 10-minute break between the tour and the workshop. 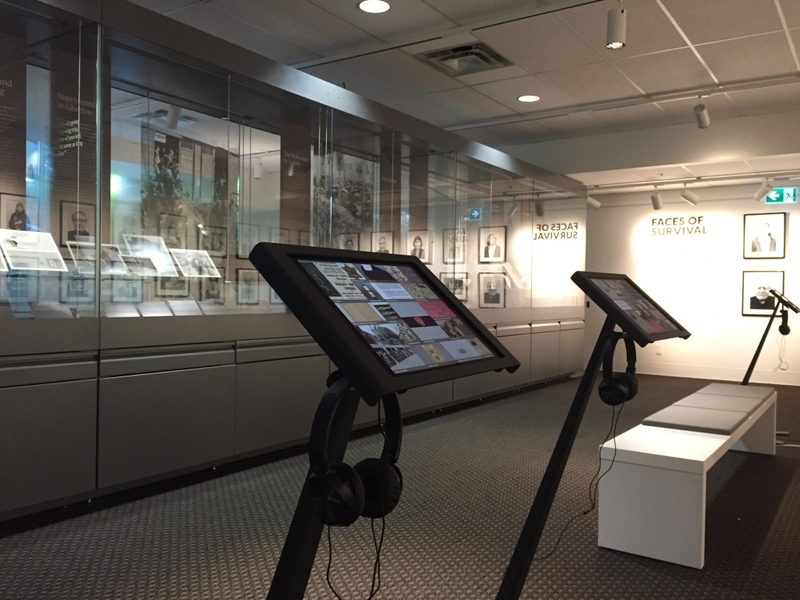 Most of what you will want to know about our museum tours is asked and answered below. 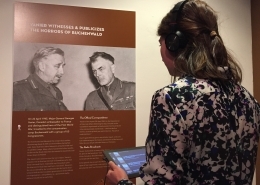 What is a museum exhibition tour for students? 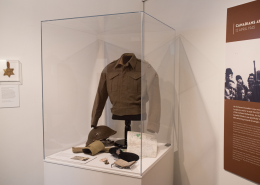 The two-hour long program facilitated by a VHEC docent consists of an interactive tour through the current exhibitions and an interactive workshop in the education room. How long does a tour and workshop last? The total duration of the tour (55 minutes) and the workshop (55 minutes) including a 10 -minute break is two hours. 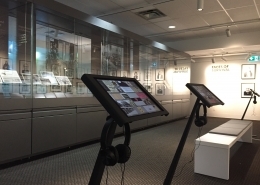 Through artefact-based learning and engaging with primary sources, students learn about some of the highlights of the VHEC collection and major themes within the Holocaust including pre-war Jewish life, the rise of Nazism, antisemitism and propaganda, Nazi camps, rescue, resistance and immigration to Canada. 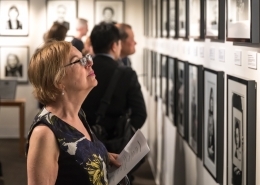 By engaging with portraits of local survivors of the Shoah and their impactful messages to students, they gain insight into challenges that survivors faced, but also into their resilience and strength. We also invite you to read a sample of notes sent to us from students. Tours and workshops are offered in both the mornings and in the afternoons according to arrangements made between the teacher and the Centre. 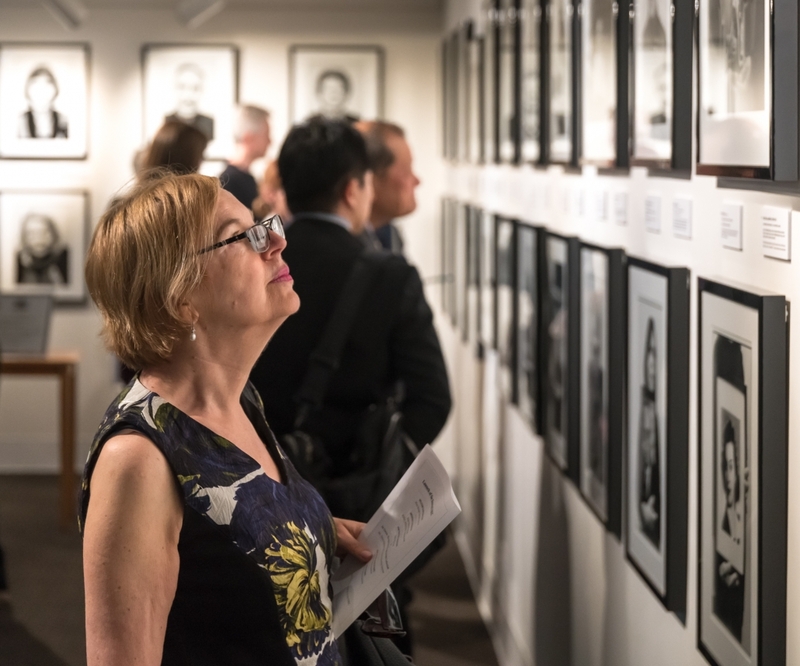 Who are the tours and workshops suitable for? 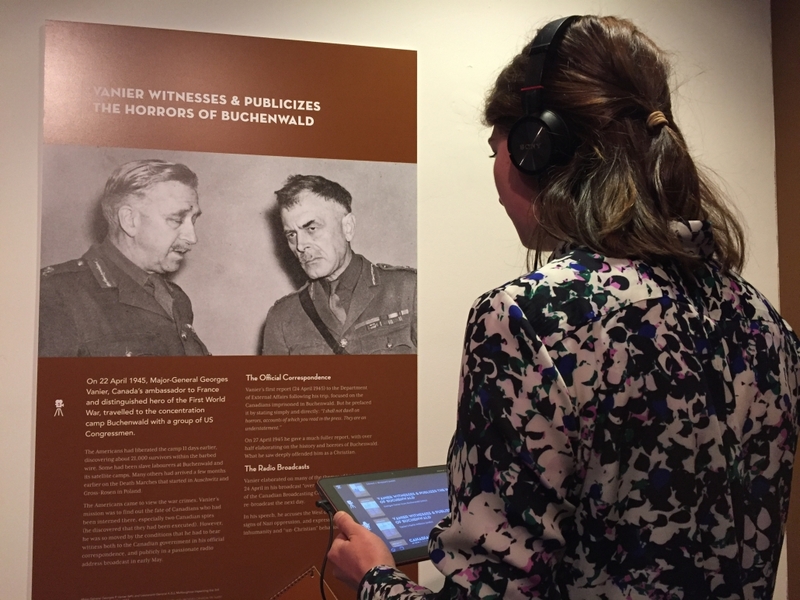 A limited number of Survivor Outreach Speakers are available to speak at the museum following the exhibition tour. Priority will be given to grades 10, 11 and 12 classes. To request a speaker following a tour please contact us at 604.264.0499. We will make every effort to accommodate your request. The fee is $100 per class of 30 students. Due to the high volume of requests for tours, we recommend that you book at least two weeks in advance. We would appreciate three days cancellation notice. 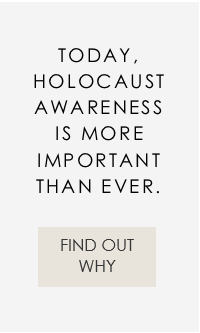 What if we have some questions? Complete this form to book a museum tour and workshop.